If one were to ask 20 educators on how to effectively evaluate student progress, there would likely by 20 different responses. This is probably due to a myriad of factors: varying school facilities, students that are English learners, shrinking funds for interventions and socio-economic factors, among others. Nonetheless, a mechanism to measure student performance is necessary – particularly when state or federal funding is provided. President George W. Bush proposed the controversial No Child Left Behind Act of 2001 and this legislation was passed by both the House of Representatives and the Senate later in the spring and it was signed into law in 2002. No Child Left Behind (NCLB) required that government-run schools that receive federal funding be required to administer a state-wide standardized test annually to all students. Further, it required that ALL students achieve proficiency in English Language Arts and Mathematics by 2014. Further, all schools are required to meet Annual Yearly Progress (AYP) goals or face the prospect of punitive measures including the reduction of funding under Title I or changes in staff. When the California Department of Education released statewide data on October 11th, it revealed two new school districts in Contra Costa County under Program Improvement – San Ramon Valley and Walnut Creek. The merits or flaws of NCLB will be debated for years to come. Even as the state of California has filed for a waiver from NCLB and will move towards implementing Common Core State Standards (CCSS) in 2014, all school districts must comply with the regulations currently in place – including the Dublin Unified School District. This background on federal standards is where we now move our story to a specific school site, Wells Middle School. We enlisted the help of Cindy Leung, Community Liason at Wells to help us understand the history of the Latino Family Night event. 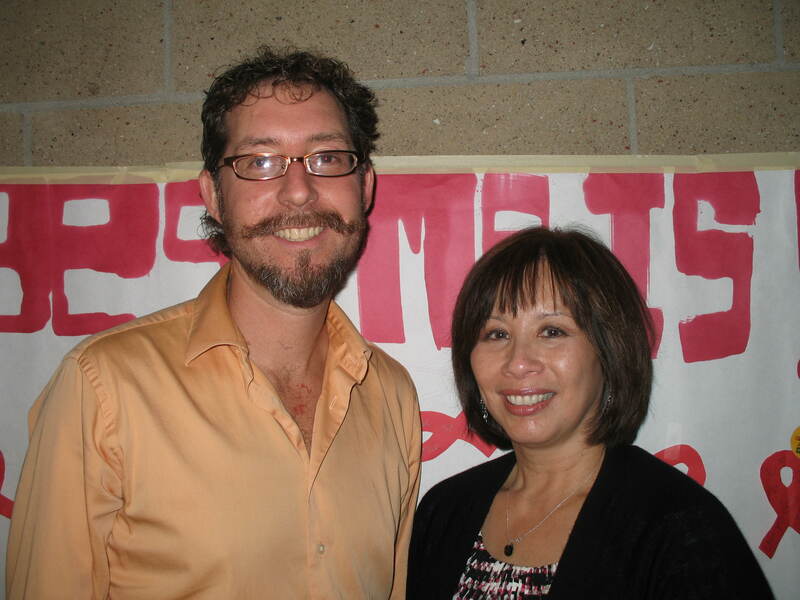 According to Ms. Leung, this program was pioneered by former Principal, Kathy Rosselle. The demographics at Wells Middle School have been gradually changing since 2000 with a steady influx of Latino students. In the fall of 2006, a family night was initiated to reach out to all Hispanic families. The purpose was to provide not only information on academic standing, but to also present a platform for various community resources. These local assets included Dublin High School, Las Positas College, the Livermore Amador Valley Transit Authority, the Dublin City Library and AXIS Health Services, among others. 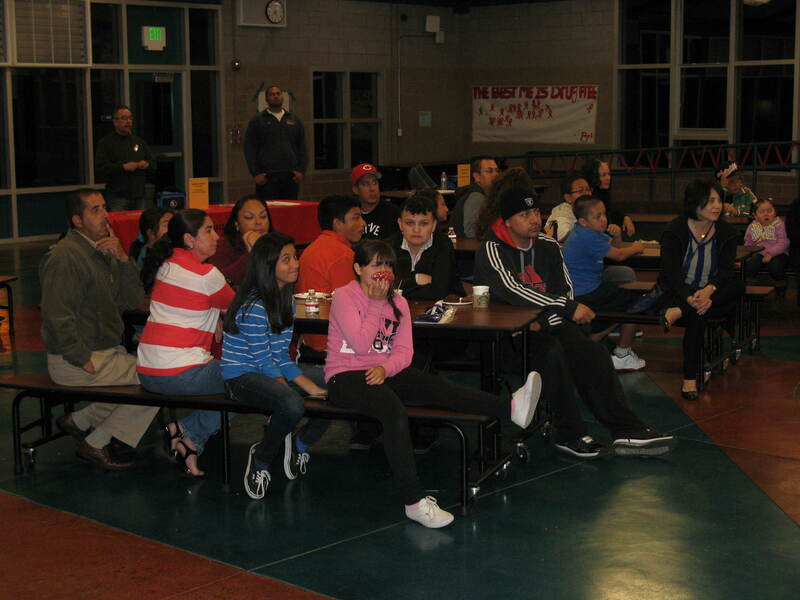 Last Wednesday evening, families of all sizes descended upon the Wells Middle School Lunch Pavilion. Principal Kevin Grier offered a welcoming segment which was translated into Spanish by Teacher, Gabriela Sullivan. In addition to refreshments provided by local vendors, there were crafts for younger guests. Over the next hour, participants were able to move from table to table and collect information on various services. OneDublin.org had the opportunity to speak with Wells’ Counselor Leor Levin, the key driver for this event, to gain his perspective on the goals and results of this evening. OneDublin.org: Describe you association with this program and how has it changed? OneDublin.org: Approximately 25% of the student population at Wells Middle School is Hispanic. Why is this event important? OneDublin.org: What feedback have you received from students and families that have chosen to participate? OneDublin.org: How might this event be modified/improved in the future? Levin: “For what it is, I’m not sure this event needs improving, or can be. What I would like to see is more opportunities for all families to be involved at Wells. All the research I have seen states that the more students feel connected to their school, the better they perform academically and feel emotionally. And the more parents are connected with the school, the more tuned in they will be to what is going on with their child. To complete the story on this event, we invited organizer Cindy Leung for her thoughts on the impact of Latino Family Night. OneDublin.org: How did you coordinate with the counseling department to publicize this event? OneDublin.org: For the community organizations that participated, how is the invitation generally received? OneDublin.org: Why is this event important? So, with Common Core School Standards on our horizon and NCLB governing our present, Dublin schools are moving to improve academic achievement for all students, regardless of how our children’s achievement is measured. Ms. Leung wanted to ensure that donations from vendors were acknowledged. Donations were received from Elephant Bar & Grill, Lucky’s Grocery Store, Mimi’s Café, Outback Steakhouse, Rockin’ Jump, Safeway Dublin Blvd. and Starbucks Regional Street. As a postscript to this story, 2012 API data from the California State Department of Education released on 10/12/12 revealed this result: the API differential for Hispanic students at Wells grew from 760 points to 822 points – an increase in 62 points. 2012 API results for Wells Middle School are available here.